Are you creative, innovative and passionate about Scouting? Are you excited about the 2019 World Scout Jamboree in the USA? Would you like to see your design worn by the SA Contingent and traded with Scouts from around the world? 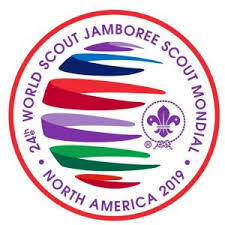 We are looking for exciting and vibrant designs for a SA contingent badge to be worn to the 24th World Scout Jamboree in West Virginia in 2019. The winner of the competition will receive an i-Scout hoodie and will have the honor of seeing their design (or a variation thereof) adopted as the official SA contingent badge. The competition is open to all uniformed members of SCOUTS South Africa. Parental consent is required for entries from children/youth under 18. 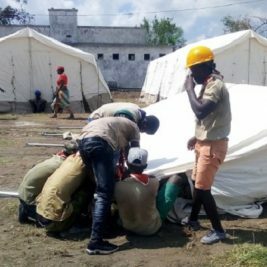 Participants don’t have to be attending the World Scout Jamboree to enter. All submitted entries must be an original idea (not plagiarised). Furthermore, participants agree to forfeit all copyright, right, interest and title to their design in favour of SCOUTS SA, which may use the design free of charge. The design must comply with SSA’s Marketing and Branding policy. Click here to read it. So, the contingent badge may not feature the World Scout emblem / fleur-de-lis. Participants may submit up to 3 designs. If more than 3 designs are submitted, only the first 3 will be considered. Designs must be entered as pdf’s and sent to jamboree@scouts.org.za no later than midnight on 22 October 2017. Entries must also include the name, age, telephone number, email address and the position held in Scouting. If under 18 of age, a permission to enter must be submitted by the parent / legal guardian which clearly states that they accept the competition rules on behalf of the entrant and have allowed them to enter.